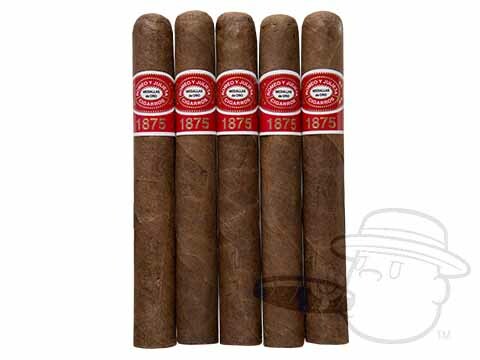 The Romeo Y Julieta 1875 Cedro Delux #1 is tagged with free shipping. If you order this product, your entire order will receive FREE BCP Ship Saver shipping! This is my go to smoke that I always keep on hand. An excellent smoke. Highly recommend. Find the cigar to be light with an easy draw and fine aroma. I have purchased numerous boxes and all have consistently been excellent. They are always well made and draw smoothly with predictable taste. I was pleasantly surprised by the quality and flavor of this cigar. I usually will smoke Maduro cigars but this one provided a full, satisfying flavor. I will buy this cigar again. Nice looking packaging with cedar sleeve on each. A couple of tight draws, but otherwise, great cigars for the price. 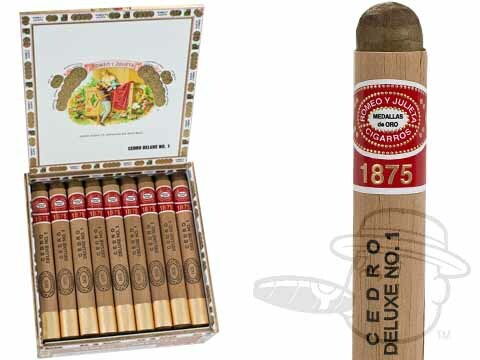 Romeo Y Julieta 1875 Cedro Delux #1 is rated 4 out of 5 based on 10 customer ratings. I am looking at a few Romeo Y Julietas, specifically interested in the Cedro deluxe no. 1. But my main concern... I want to find cigars that i can smoke very soon, and i dont have time to age them. I hate when i have to pull hard on a fresh cigar. Are there cigars that i can buy now that are aged properly? I will be sharing a box with friends on a vacation, second week of march. The Romeo Y Julieta Cedro Delux #1 is already aged quite well. Cigar Aficionado even rated this cigar a 90. You will have no draw problems on this super smooth Dominican smoke.